5 Blade Shaving Surface™ Technology. . . has 5 blades spaced closer together to help reduce pressure - for less irritation and more comfort. Power Glide™ Blades. . . have a patented blade coating for incredible comfort. 1 Precision Trimmer™ Blade. . . built into the back of the cartridge. Perfect for tricky places like sideburns, under the nose, and around facial hair. 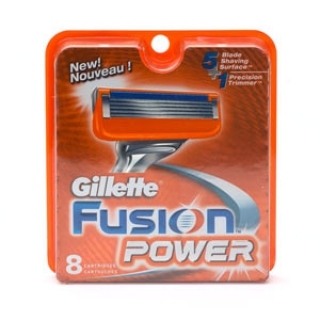 All Fusion Cartridges can be used with all Fusion Razors.